Parker Mills LLP is pleased to announce that Steven S. Wang has joined the firm as senior counsel. Steven focuses his practice on complex business litigation, professional liability litigation, insurance coverage and trade secrets litigation. He is both a trial and an appellate practitioner who has achieved outstanding results at both the trial and appellate level. Steven has represented legal and accounting professionals, financial services firms, and real estate developers, as well as individuals on high value legal malpractice and injury cases. He also counsels clients on insurance and risk management. 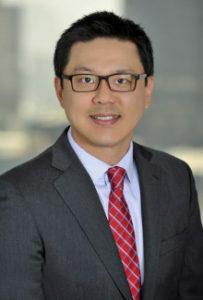 Over the course of his career, Steven has been instrumental in helping his clients resolve legal disputes through negotiation, mediation, arbitration, trials and appeals. In doing so, Steven continuously advises his clients on not only their legal rights and remedies, but also the economic, emotional and time-consuming tolls of litigation, creating a holistic approach to litigation strategy. For Steven’s full bio, click here.